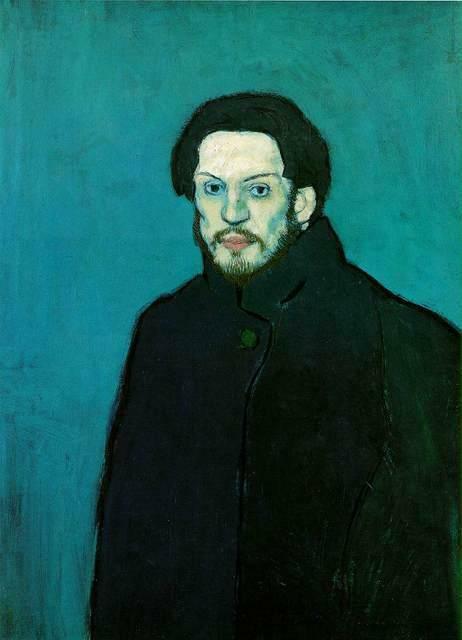 Pablo Picasso (1881-1973) was born in Málaga, Spain, and by the end of his teens was already an energetic and talented imitator of all the “fin-de-siècle” painting styles then current in Europe. 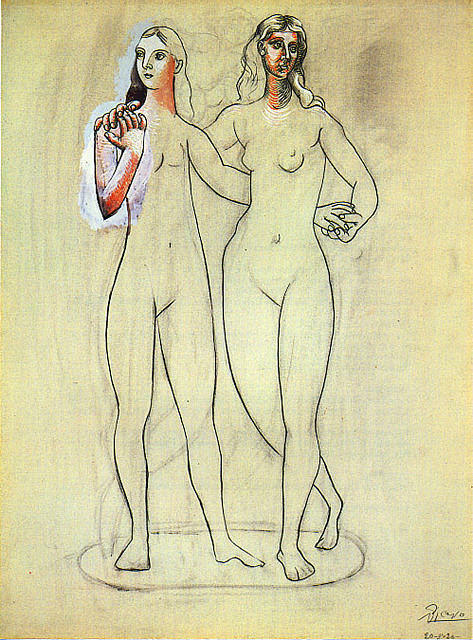 He made his first trip to Paris in 1900, and moved to the city – the centre of the art world – in 1902. It was the right place at the right time. Two crucial events occurred when he was in his mid-twenties. First – he met Gertrude Stein – a wealthy young American art collector who bought his paintings and championed him to everyone in her circle. 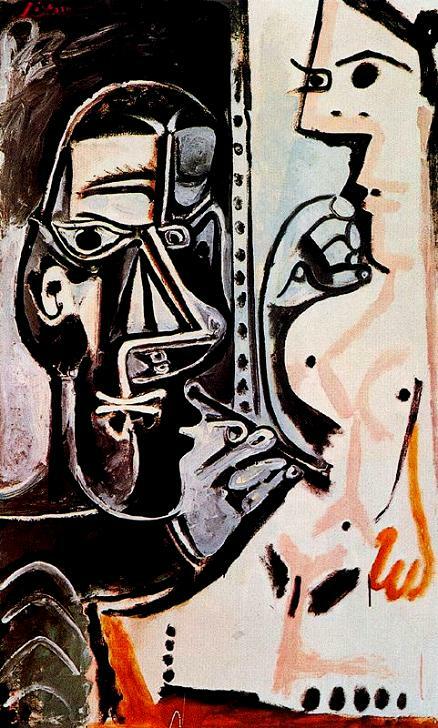 And second – Picasso visited the Musée d’Ethnographie du Trocadéro where he saw masks and sculpture from Oceania and Africa. 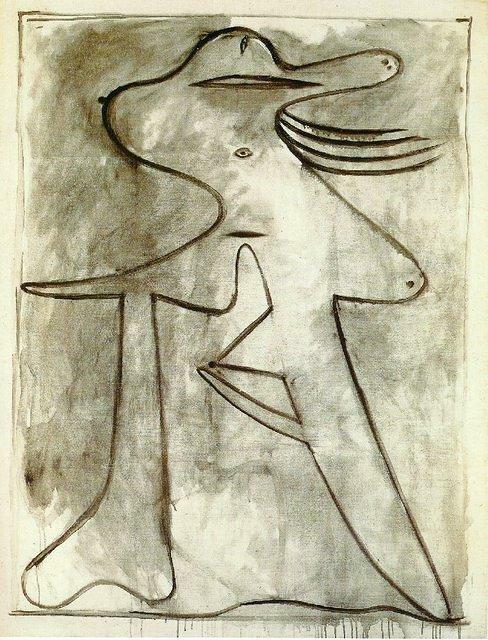 Highly stylized, these “primitive” artworks, unlike anything else Picasso had ever seen, were to make a forceful impression on his restless artistic sensibilities. 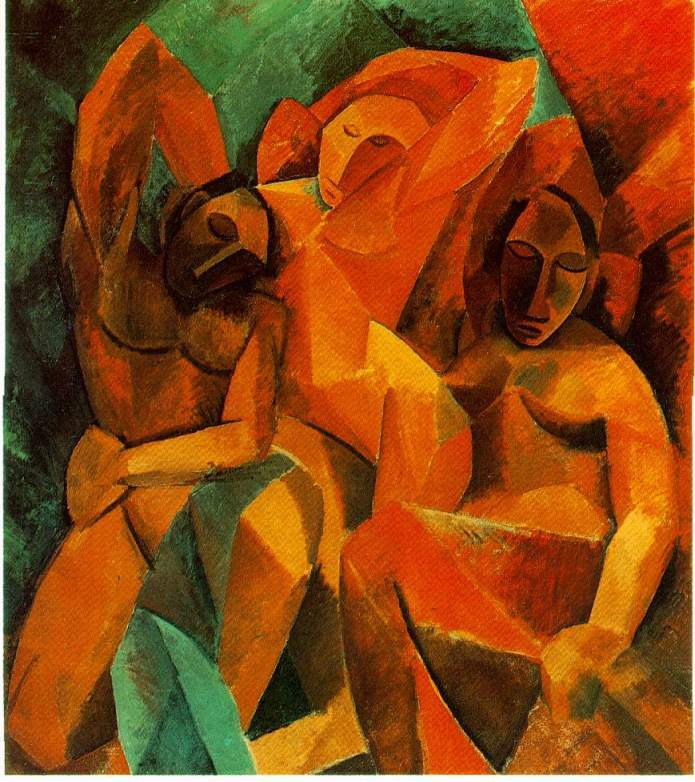 The innovative effect of his “quick study” of Oceanic and African art was soon seen in his 1907 painting, “Les Demoiselles d’Avignon”. 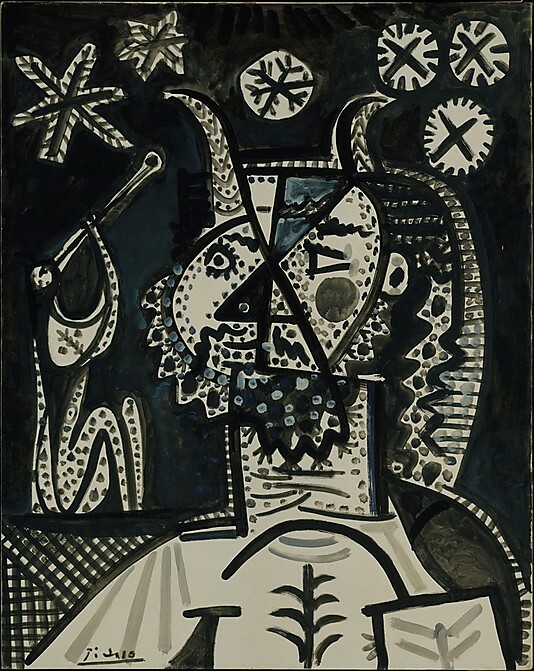 In this one canvas Picasso broke with 19th-century European art traditions and, along with a handful of his contemporaries, brought Western painting into the 20th century. 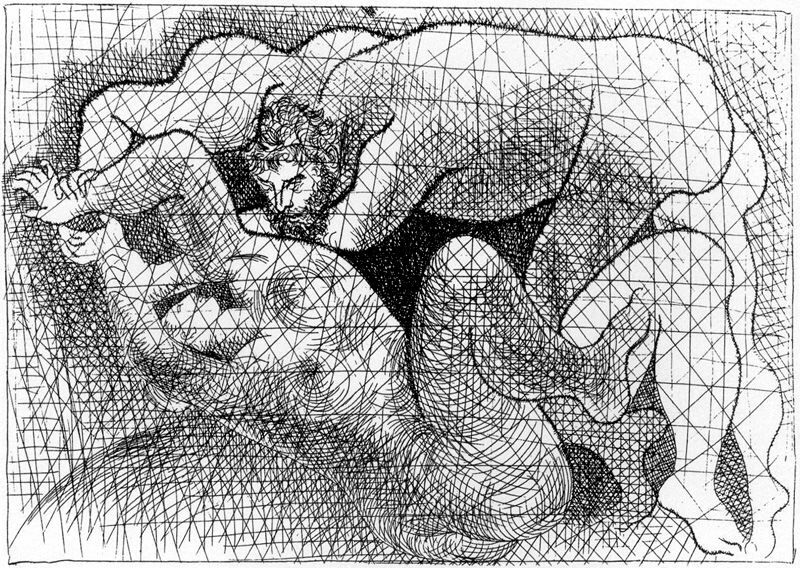 And yet – time and again – he would return to a theme straight out of the Classical Academies – that is: The Artist and The Model, or, for Picasso, The Artist and His Model. 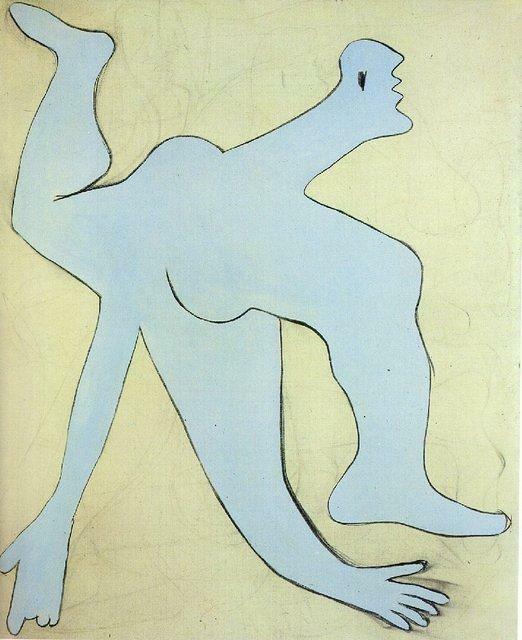 Picasso’s lust and egomania are well documented in their vigour and even ugliness. Yet in his prolific artwork, spanning 75 years, he shows his undeniable energy for Life – all of Life…the subtle, the tender, the brutal and raw. 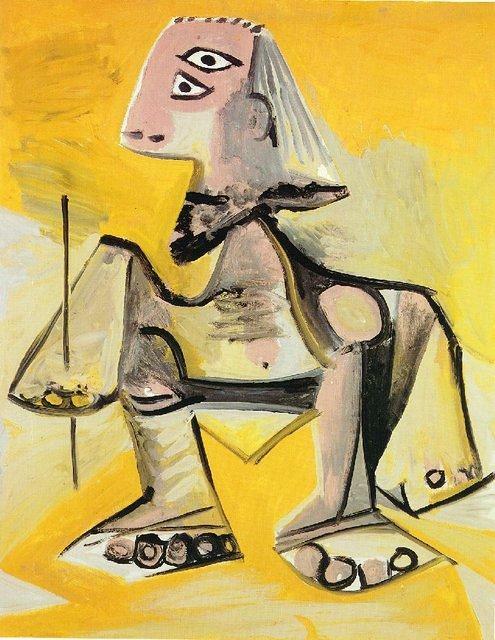 We feature here a light-hearted poem by Spanish children’s writer, Carlos Reviejo (born 1942), entitled “¡Este Picasso es un caso!” (Picasso’s sure a weird one!) 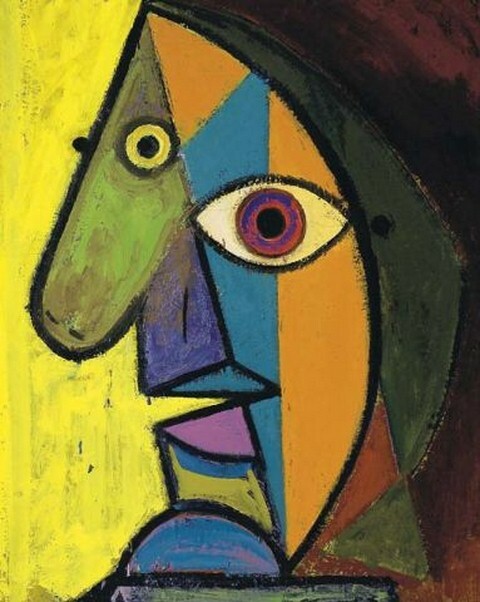 – along with a selection of Pablo Picasso’s paintings and prints. y pone el rostro en los pies. ¡Todo lo pinta al revés! 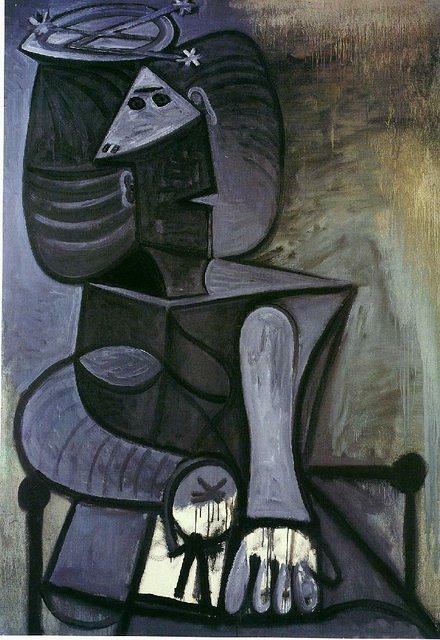 ¡Este Picasso es un caso! él te pone dos orejas. 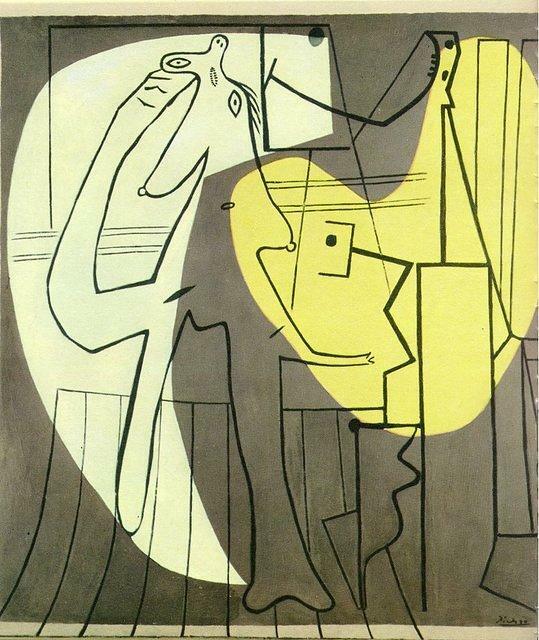 ¡Vaya caso el de Picasso! y en vez de dedos, gusanos. ¡Si es que Picasso es un caso! y te lo pinta de rojo. te lo pondrá en el cogote. ¿Eso es hombre o bicicleta? ¡Si es que ya nada respeta….! 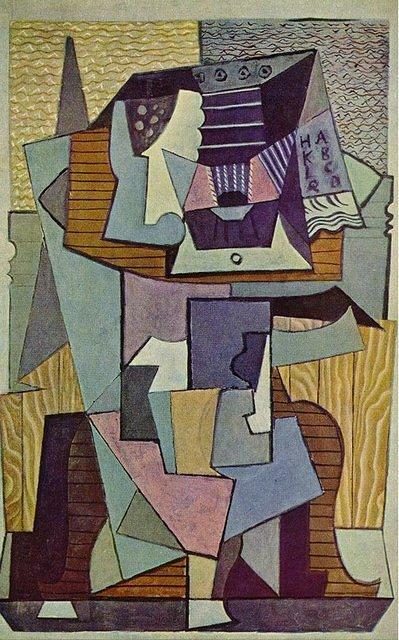 ¿No es un caso este Picasso? las piernas, brazos y boca. No es verdad lo que tu ves. ¡Él pinta el mundo al revés! 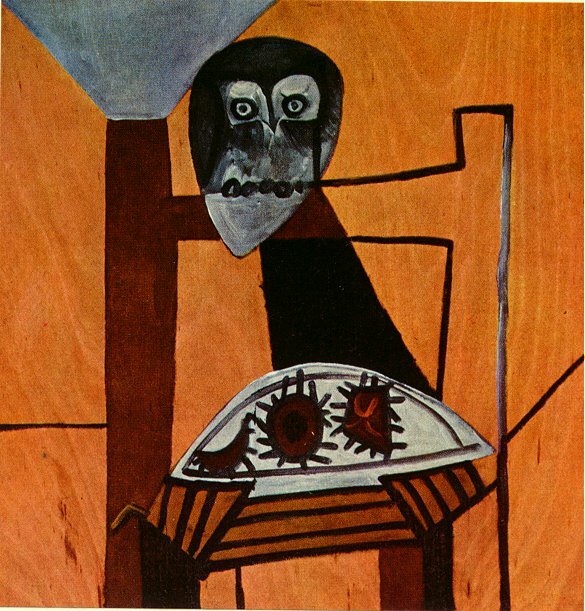 ¡Qué Picasso es este caso! 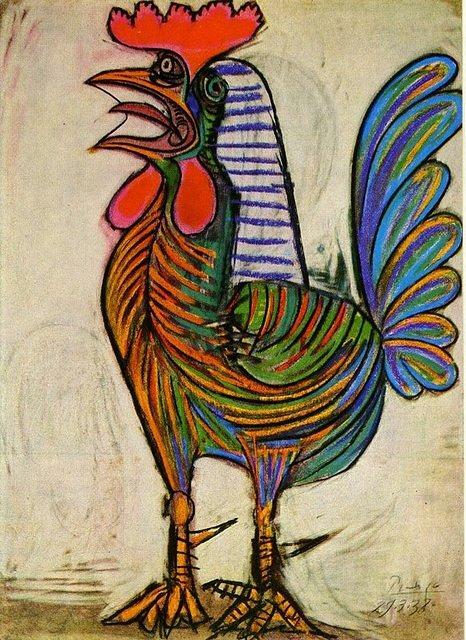 A funny one, that Picasso! and puts the face where the feet should be. Yes, Picasso’s a weird one! and he paints it red. well, he’ll place it on your neck. 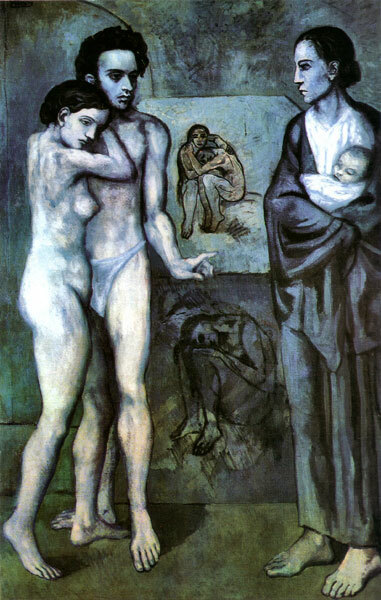 What a case, that Picasso! Here – is this a man…or a bicycle? These eyes you said were eyes – ? 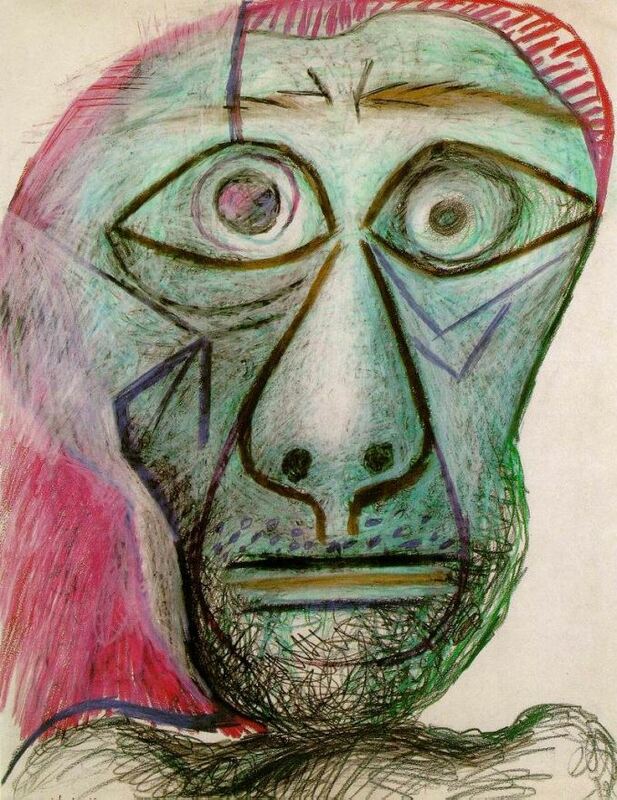 Picasso’s a real head-case, isn’t he? What you see is not for real. He paints our world upside-down! 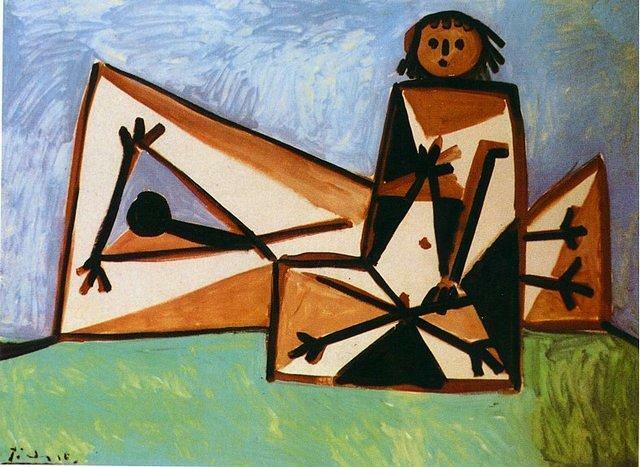 Yes, Picasso’s sure a weird one!